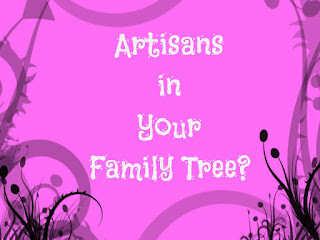 You, an artisan? Imagine that, creating metalwork, enameled or sculptured wire fantasies? Wearable art? It's true, many new students begin with the more demanding artisan skills, but you'll have a better chance at success if you begin simply. Lofty goals have their place but a complicated first-time project can be the road to easy frustration for a novice jewelry maker. Keep your grand ambitions, but start out with a few simple ideas in mind: Get used to working with your tools. Develop dexterity. Have a little fun. Start with these simple projects for beginner's success that will give you a dash of confidence. You can grow into a true artisan from there. Don't start out with expensive Swiss-made tools. If it turns out that jewelry making isn't for you, you'll be stuck with expensive toys. You can find basic jewelry making tools at a local craft shop or buy them online. Slip your beads onto your head pins. (Figure 2) Add two or three beads, if you like, arrange them until you like what you see; but make sure you have at least 3/8 inch of head pin remaining to create a loop on top. Use your cutters to clip away any excess wire. Use your pliers to bend the remaining headpin to a right angle. This gives you a good start for forming your loop. Your completed loops won't be perfect, but you will get better with practice. That's all there is to it. 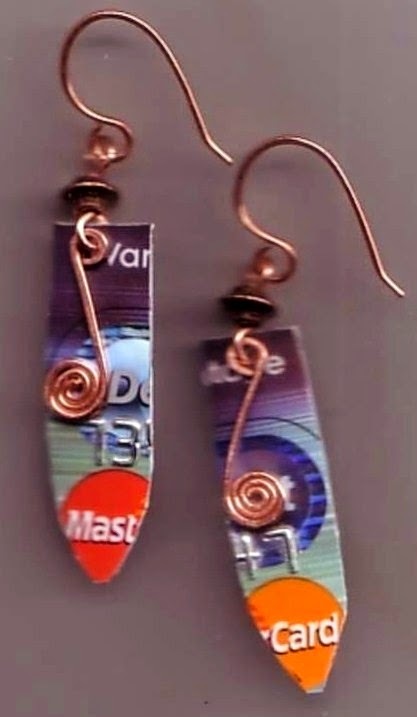 Now slip your simple earrings into your ears and wear them. When someone asks you where they came from. You can say, "I made them myself." To add a bit of pizzazz to your simple earrings, you may wish to add metal trim beads in gold or silver or even brass or copper. Simply replace headpins with eye pins, a long piece of wire with a loop at the bottom. Step up your artisan's tradition by creating simple bracelets almost as easily as your earrings. 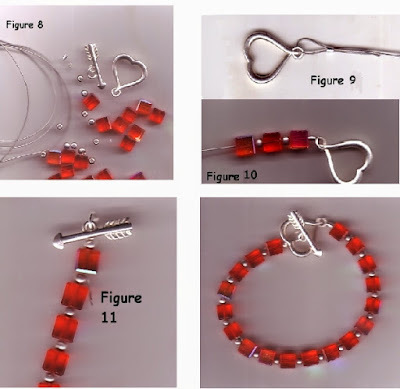 You will need the following supplies to make a basic beaded bracelet. Insert one end of beading wire through a crimp bead, then through the jump ring on the end of your clasp. Squeeze the crimp into place with a pair of pliers. If you like this method of stringing beads, you should buy crimp pliers, a tool made especially for closing crimp beads. After you've added enough beads to fit your wrist size, slip on a second crimp bead. As you did at the beginning, slip the tiger tail through the crimp bead, then the jump ring on the other half of your clasp and back through the crimp. Gently pull the loose wire end to tighten your arrangement and eliminate any bare wire spaces. Clip off the remaining loose end of the wire. Squeeze the second crimp into place. For a beaded necklace, use the same techniques you used to make your bracelet. 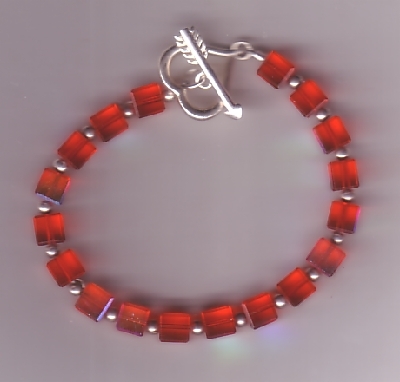 Bead shops offer a variety of trim beads and clasps to help you add details that reflect your own unique, creative personality. They also have bead boards to lay out your designs before you put them together. As your confidence grows, you may choose to stretch your creative muscles by adding wire-work to your collection of techniques. Practice creating wire swirls to dangle for added creativity. Learn a few basic techniques to make earrings from scratch. Your mother was right; practice makes perfect. Sort of. Perfection should not be your initial goal; but over time, practice will help you rise to your highest skill level. Don't spend hundreds of dollars on supplies and books that end up stuffed in a drawer never to be seen again. Start with simple, basic supplies and tools. When you are certain, buy a few more. 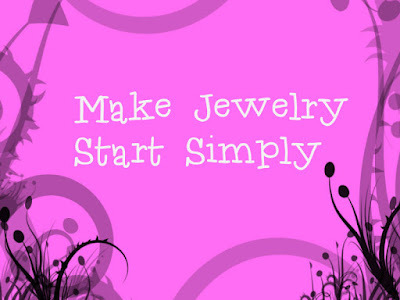 Don't go broke figuring out if jewelry-making is a craft you can stick with. Of course, you're busy, but you are starting a new tradition. Find a quiet corner to work in between household tasks or wait until the kids are asleep. Most of all, enjoy your crafty self.